I've heard that title before, #IDARB. I know it's coming to Xbox One. But other than that, I'm clueless. Brett came into chat today wondering about it, and Nic said the game looked "amazingly silly" on Giant Bomb months ago. 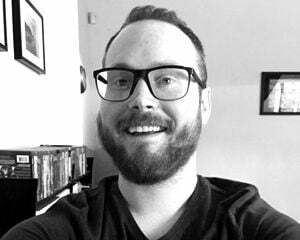 "I think [Iron Galaxy Studios CEO] Dave Lang pops up in it like the TOASTY guy in Mortal Kombat. So, you have to give them that." Yes. Yes we do. 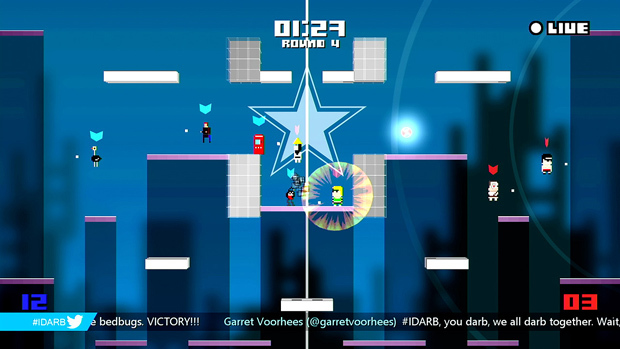 Now that I've seen this trailer, I have a better (though still far, far from complete) understanding about #IDARB, "the number-one eSports, crowdsourced, Twitter-creeping, four-on-four multiplayer extravaganza." It's coming to Xbox One in February and will be free for Xbox Live Gold subscribers through Games with Gold. Which is good, because this seems like the type of thing people might scrunch their face at but would wind up enjoying if they took that initial chance.